In preparation for the 2017 season, AVMM hosted a ‘Taster day’, on 18 February. The event was a great success: attended this year by seven young men who danced with much energy and enthusiasm during the three-hour morning session. It’s a real bonus to have two sets of dancers for what was effectively, a pre-season practice and we shall aim to make this an annual event. Thanks to our wonderful musicians for keeping us in time and to our team of instructors for the day, facilitated by John and Dave. We should also like to thank the Banbury Guardian for running a story about the Taster day and for arranging for a reporter/photographer to attend the event. 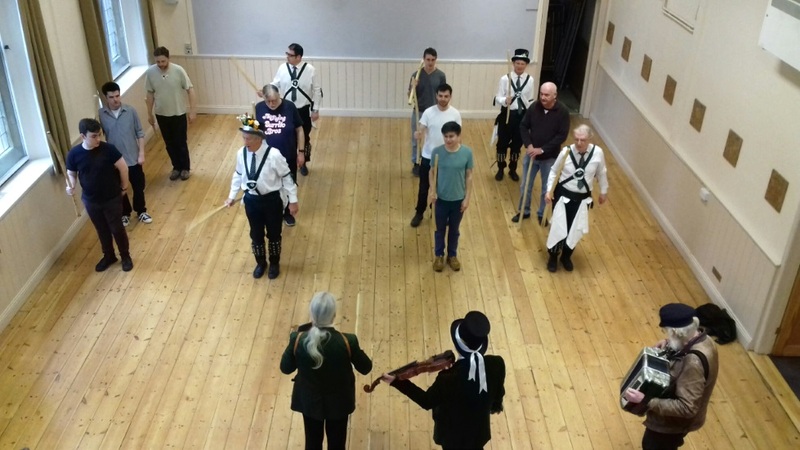 Regular Wednesday practices for the Day of Dance start on Wednesday, 1st March at 8pm in the Tythe Barn, Adderbury.